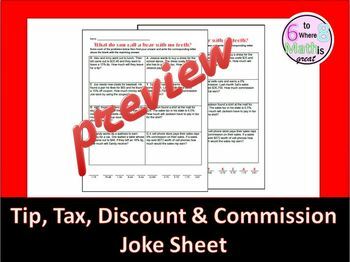 Your students will love calculating the tip, tax, discount and commission with this joke sheet. Students will have to calculate the tip, tax, discount and commission to find the answer to the joke. Includes worksheet and answer key.